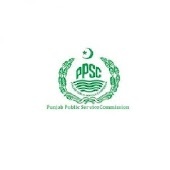 Lahore, Punjab Public Service Commission Lahore has started the recruitment on the post of Assistant on the regular basis in Punjab Public Service Commission. PPSC has carried out the written test of the candidates for their PPSC Assistant job in PPSC on 2-2-2019. Now the PPSC has declared the PPSC Assistant Written Test Result 2018 and the qualified students will have to appear for typewriting and proficiency test. PPSC Assistant Test Result 2018 shows that the students will receive their call up letters for typewriting and proficiency test on their website and the candidates will also be intimated through email and SMS.